To complete the creative look, the earrings are supplied with pearl teardrop hangings hooked up to the bottom of the jhumkis. 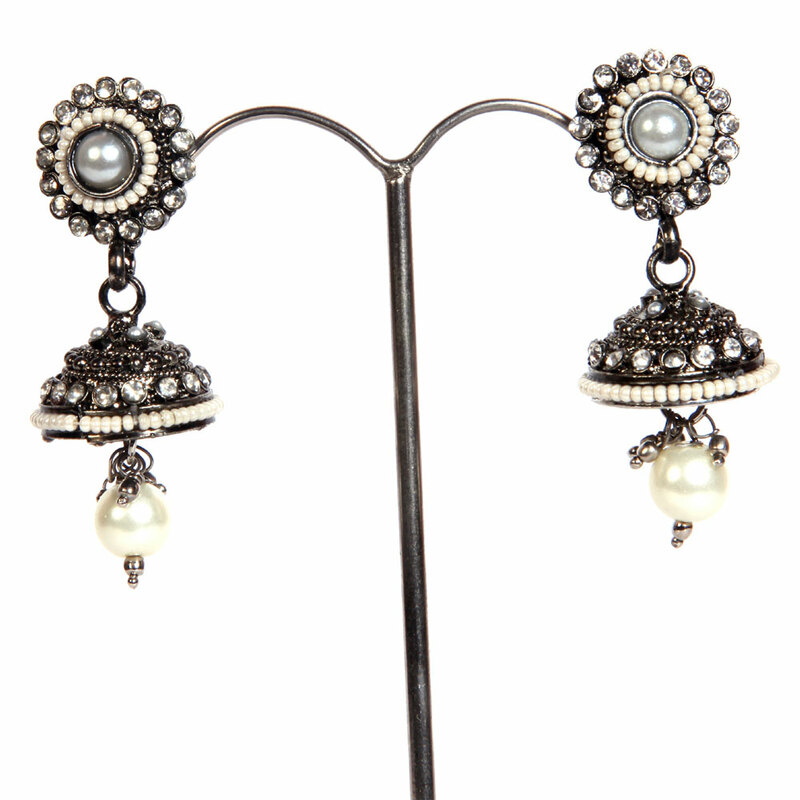 The sheer beauty of the base metal of brass is accentuated manifold by the purity of the white pearls and glittering stones that adorn this Read More..beautiful pair of jhumki style earrings. To complete the artistic look, the earrings have been provided with pearl teardrop hangings attached to the base of the jhumkis. Show Less..